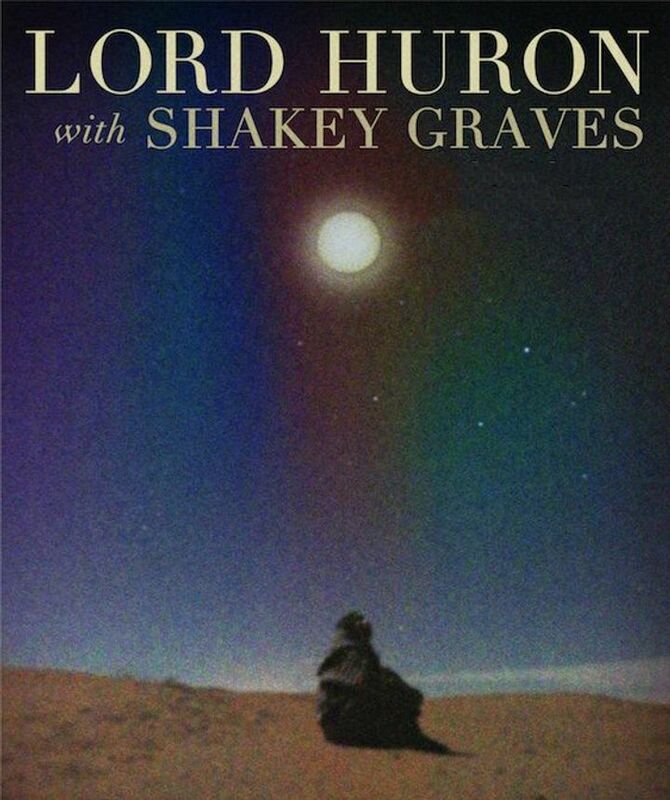 I am excited to announce that me and the boys have added a few more dates with Lord Huron this summer and presale is happening NOW! Great music in a venue that enhanced Shakey Graves already great music. This is the third time to see Shakey live, I can only hope there will be more. Truly amazing performance and the opener was really good too. I wasn't sure what to expect as I was really only familiar with his "one man band" material but I was pleasantly surprised! Shakey was unbelievable, great artist at a great venue. He played a combination of old to new music, so that old and new fans could all enjoy! The venue is beautiful but the sound is not.... It’s not Shakey’s fault in the least either. He puts on a great show but the bigger the venue, the less intimate it is. He was great at first ave but sound has been perfected there. Excellent Show, was my second time seeing Shakey Graves play, luckily was in the front row, as we got there early enough. Made the road trip from La Crosse Wisconsin to see this show. Well worth every mile driven there and back. So I have been to 4 Shakey Graves Shows now, Live on King in Madison 8/4/17, Big Sky Brewery Amphitheatre Missoula Montana 8/25/18, At The Sylvee Madison 8/28/18 And last night 8/29 at the Palace Theater In St. Paul Minnesota. But his show at the Sylvee was the best performance I’ve seen, all his shows have been beyond excellent, but his performance at the Sylvee was amazing. Bummed I couldn’t make it to Red Rocks, maybe next time.